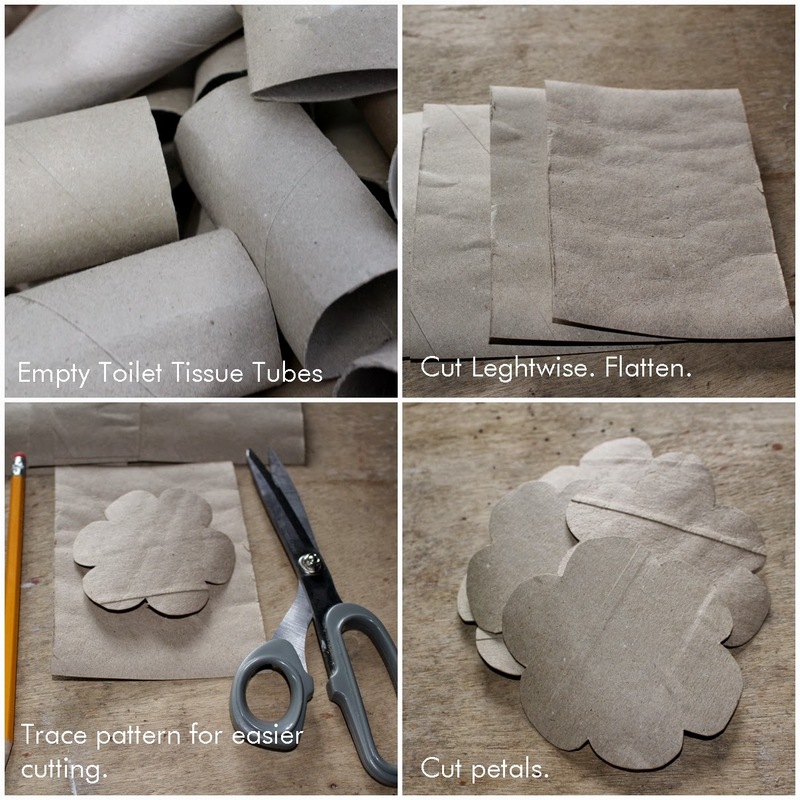 Empty toilet paper tubes have many uses. I use them to wrap bouquet handles before finishing them with ribbons or twines. I also use them as organizers, containers and gift tubes etc. I will be posting DIY gift tubes later. 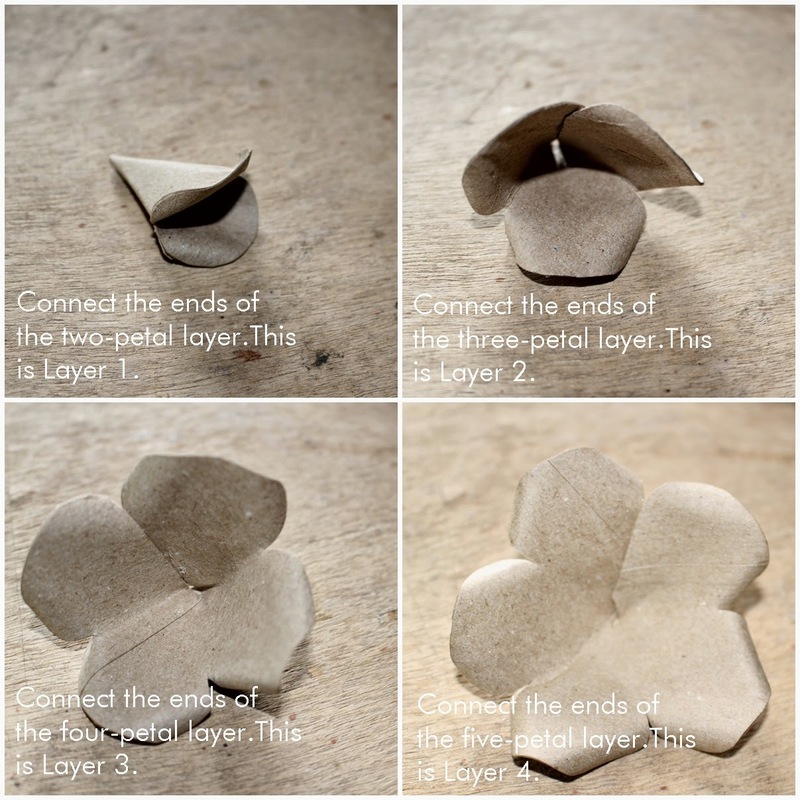 This time, I will show you how to make roses using the empty cores. You can color them or leave as is. MIL GRACIAS POR ESTE MARAVILLOSO TUTORIAL. PODRIAN PUBLICAR TUTORIALES PARA NAVIDAD CON SUS RESPECTIVOS MOLDES. Nice thought you have post i like that ..
None of the curls want to stay and my last layer doesn't want to stay glued to the other layers...fun trying though. Very pretty idea! Thank k you for this nice and very romantic idea...I Will look to toilet paper differently from today on !!! My dear , you've just made my day. Every time a have to throw the tube away my heart turns blue. I love the color of those tubes and I'm always thinking about doing something to reuse them. But my talent hasn't gone so far. Thank you so much for sharing. Hi! This it´s a beautiful post. Can you will post something about christmas? thanks! What a clever idea for toilet rolls. 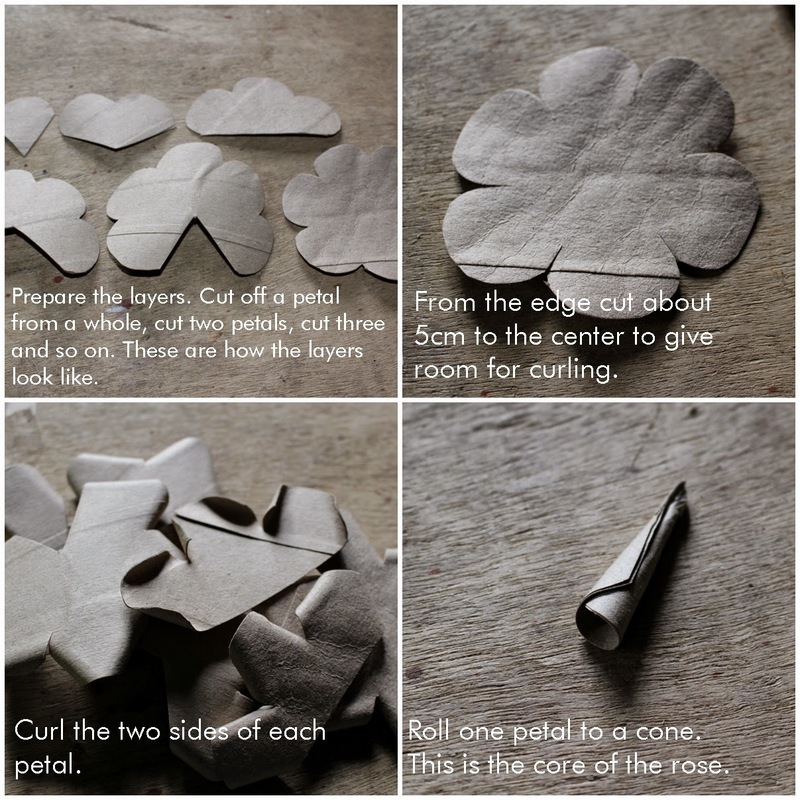 I shall save some up and try to make a rose. The look absolutely beautiful. I can't wait to try this love these roses! Thanks for the how-to! Love it. I made some but our tissue rolls were mostly white so I ended up putting on some watercolor.Thinking of making some and putting it on the Christmas tree. 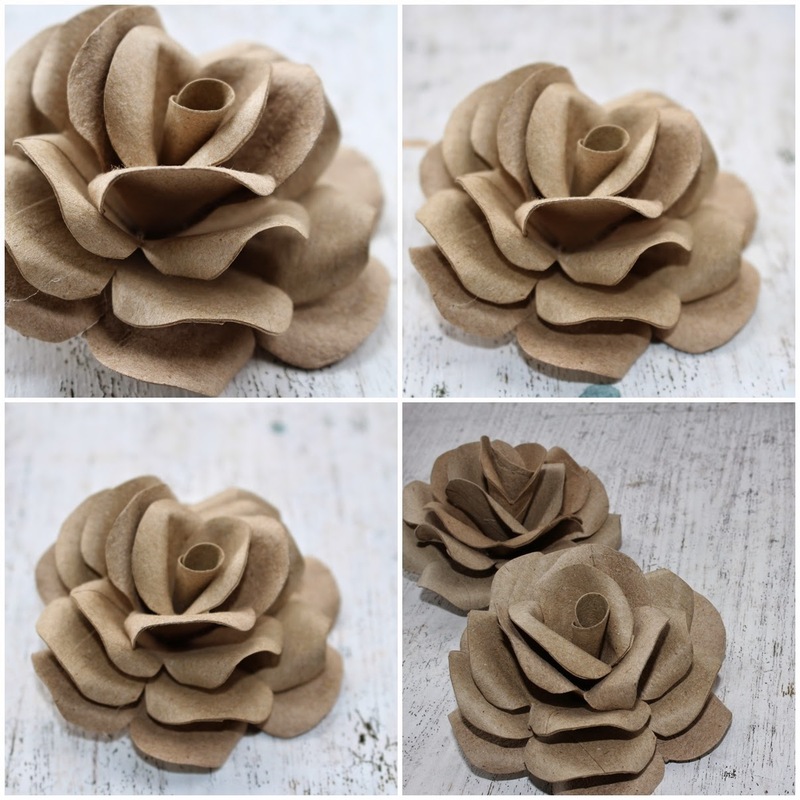 I put photos of the rose I made on my website. Thank you so much can't wait to make some. Thank you so much, i'll try to make this cute roses soon. Cheers from Brazil!! Amei! Era tudo que estava precisando, muito obrigada!!! 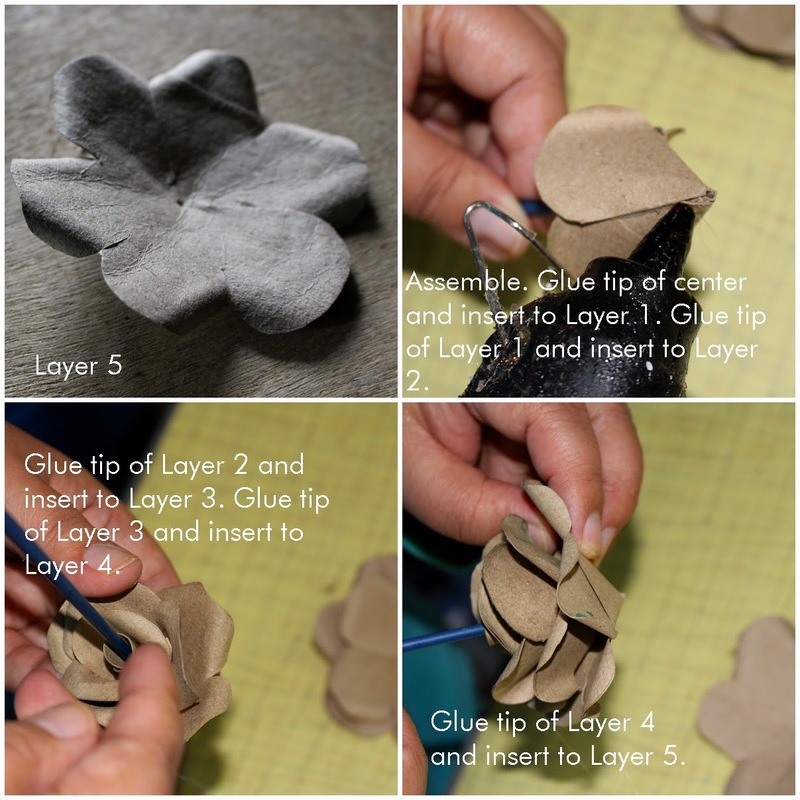 So cute.....I'm going to try to make some......I have 1000's of rolls.....I am activity director at a njmuesing home, and we use toilet paper rolls for all kinds of crafts! I made a beautiful boquett of roses and they were confiscated. The next day they were on the building supervisor's desk. I never heard a word from her! Not even a phone number? Good idea, we can use waste tube to make new gifts! Good idea, we can use waste tube to make new gifts! we like to have colorful tissue paper manufacturing.